Hull City manager Steve Bruce has confirmed his interest in signing England striker Jermain Defoe. Defoe, 32, is thought to be keen on returning to the Premier League from MLS side Toronto FC but his large salary could scupper Hull's hopes. "If he becomes available, which I believe he is, then we'd love to do something," Bruce said after his side's 2-0 win over Everton on New Year's Day. "I think it might be too expensive, but it's not a bad bit of speculation." Defoe agreed a four-year deal, worth £68,000 per week and potentially rising to £90,000, on signing for Toronto in a £6m deal from Tottenham last January. Queens Park Rangers have also been linked with the 55-time capped England striker, who has also played for West Ham United and Portsmouth. "You ask any club in the bottom of the division about Defoe, all of us would say 'yes'," Bruce added. "Whether we can do it financially is another problem." 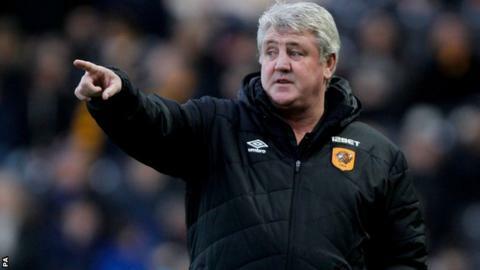 Goals have been a problem for Hull in recent weeks, with just just five scored in the league in the whole of November and December, but they kicked off 2015 with a 2-0 win against Everton. Ahmed Elmohamady opening the scoring at the KC Stadium before Abel Hernandez assisted Nikica Jelavic for the second. "It's been probably our best performance," Bruce said. "From the first minute to the 90th, there was a determination that it was going to be our day. We deserved to win the game by a country mile."